Mindfulness, sometimes referred to as mindfulness meditation, is the mental process of being very present with current feelings, thoughts, your environment and your body. It is a therapeutic technique that encourages acceptance without judging and remaining present in the current moment rather than worrying about the past or the future. Practicing mindfulness offers numerous benefits for people of any age. 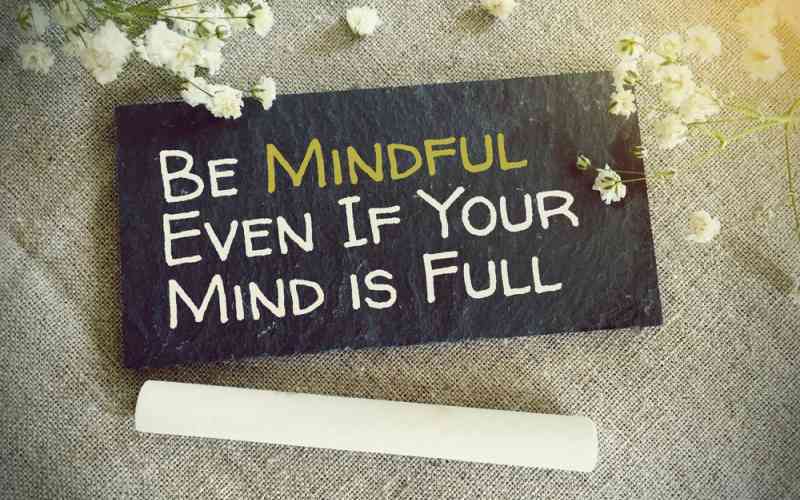 Mindfulness facilitates positive thinking and a focus on the here and now. These positive emotions can help reduce the stress and anxiety that can take a toll on general health. Multiple studies have indicated that mindfulness may be linked to improved cardiovascular health, lower blood pressure, reduced pain, better physical functioning, healthier body mass index and an improved ability to cope with negative circumstances. Many people are plagued by chronic pain. It can hinder daily functioning, sleep and even impact personality. The chronic pain from conditions such as fibromyalgia, arthritis, neuropathy and rheumatoid arthritis can have a major impact on overall wellbeing. Mindfulness meditation has been scientifically proven to help manage chronic pain - often as effectively as painkillers, if used on a regular basis with other therapies. While it’s natural for the body to try to resist or push back from the source of the pain, this can actually increase pain levels. With mindfulness, patients are encouraged to let their mind be still and then visualize their body healing. Although mindfulness is not a cure for illness, it can make any associated pain and distress more manageable. There is evidence that mindfulness can be a useful tool in reducing the anxiety and worry that comes with chronic or potentially terminal illnesses. It can also help encourage hope and resilience in the face of distressing or painful circumstances. Mindfulness encourages positive thoughts and discourages being judgemental or dwelling on negative thoughts or feelings. Mindfulness teaches coping as opposed to avoidance in response to stressors. It also improves emotion regulation, and generally people in a positive frame of mind are better able to handle different forms of stress. Mindfulness is also considered a highly effective, non-medicinal therapy for people who suffer from depression. The idea is that practitioners can actually learn to regulate their brain functioning by focusing on the present and self-regulating their mood. Early studies have shown that mindfulness meditation may often be successful in postponing age-related memory loss, thanks to its stress-fighting capabilities. Mindfulness meditation can also help improve mental focus and have a positive impact on muscle memory when recitations or repetitive chants are used. Staying active and being part of a positive community are key components of aging well. Daylesford Crossing offers a variety of wellness programs to promote physical and emotional well-being. Schedule a tour today to learn more about our various supportive care programs.